In Thailand, the outgoing Focus is currently available in a single body-style (hatchback) and grade, powered by a 180 hp 1.5 litre EcoBoost engine. It is priced from over one million baht and is undercut by Japanese C-segment stalwarts such as the Honda Civic and Toyota Corolla Altis. The report’s sources say that the new Focus is unlikely to reach Thai showrooms as Ford has made it quite clear that it doesn’t intend to sell passenger cars in the market anymore, focusing on pick-up trucks (Ranger) and truck-based PPVs (Everest). The Detroit-based carmaker recently cancelled plans to make the latest Fiesta a Thai eco car. WAHHHHH!!!! The Japanese are beating me in the car segment!!!!!WAHHH!!!!!! Do you not believe in replacing a ruined car with a much better car anymore? Stop blaming the segment! Fight back! Stop surrendering to the Japanese...Giving up is not the solution. Ford’s retreat from the Japanese-dominated Thai passenger car market mirrors that of fellow American brand Chevrolet. With no Thai-made ASEAN spec Fiesta and Focus, it’s not likely that the models will be offered in Malaysia as well, as sourcing them from Europe will mean uncompetitive pricing. The bigger but lighter new Focus gets a new look, new variants (Subaru XV-style ‘Active’ is one), a simplified dashboard, fresh tech and new powertrains to take on the market-leading Volkswagen Golf, Renault Megane and Hyundai i30 in Europe. Details and pics here. A nice, beautiful gallery to make everyone from the area jealous and even more mad at you. 2b2 and AM222 like this. I find some interesting things on Instagram. It's in Chinese, but here's a live presentation of the sedan. Some Captions would be nice, YouTube. There were captions. We just need to learn how to read them. True. I meant English captions. Flexible Platform. (Maybe this is the future of the Fusion). The one thing killing me on the new Focus talk is all the discussions of the new RS, even the Motor1 articles talking about the RS when we havent even seen the ST yet. The RS is a long ways away still. Now as for the ST I'm curious to see what Ford does. 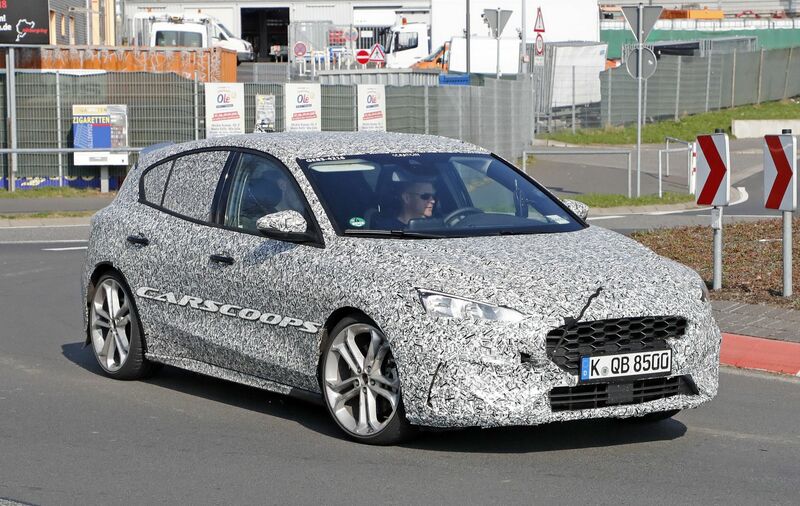 Much of the speculation is that it will use a pumped up version of the 1.5 Ecoboost. All I know is if still FWD it better have a real deal mechanical LSD. The Mk1, Mk2 and Mk3 Focus RS have all appeared after the mid-cycle refresh of the regular range was introduced. My guess is the same will happen with the all-new Mk4 Focus RS (assuming the next RS will push through). The rumor is 275HP from a 1.5 liter (not even 92CI, there are motorcycles with larger displacement engines!) three cylinder! It is insane the kind of power that can be generated with small displacement engines these days!!!! Edit: For comparison, my first car was a 1977 Grand Prix with the big Pontiac 400ci/6.6L engine and produced a whopping 180HP! If that engine put out the same power per liter it would have made 1210HP! It would have been a lot of fun!!! Last edited by SP1966; 04-17-2018 at 05:56 PM.